Of course, ten years ago, scandium frames were near miracles of lightness and stiffness, that today you never heard about because of what you can do with carbon. I really like the Gaulzetti frames because they had what I thought was a retro look to them. No hydroformed tubes, no curved or strangely angled tubes, just straight, fat aluminium. Like a late 90’s scandium race bike. I’m not a fan of the extra long seattube on the Corsa, but I’m going to allow it because his bikes look damn good even with that. I’m not a road bike guy, so my evaluation is strictly based on looks, and this looks like a good bike. A modern bike that I like the looks of is a rare thing. 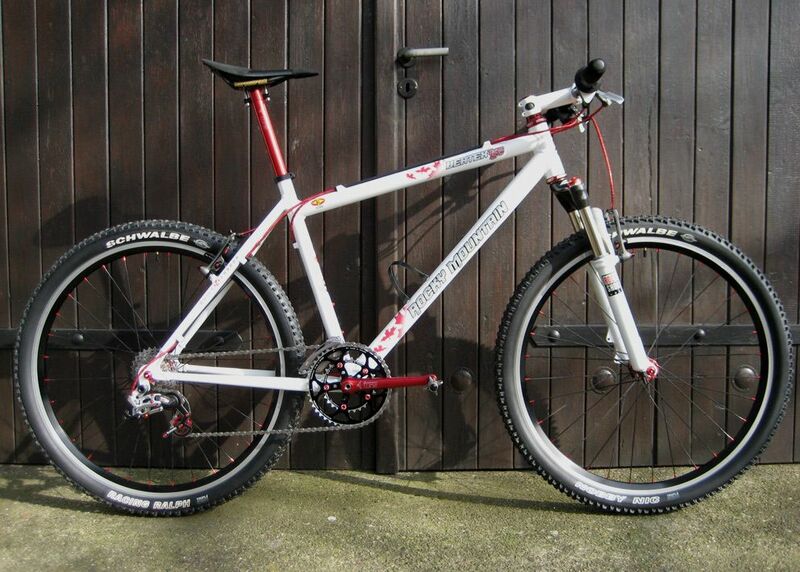 He does make a mountain bike as well – unfortunately named “Chunder.” And, unfortunately, it has a crazy-long seatpost. I get that for road bikes – sort of – but for mountain, this really makes no sense at all. He says this bike is strictly for racing, but everybody and their dog is using a dropper post nowadays. You’re going to see the UCI World Cup XC guys using them in the next couple years too. Luckily, in the comment section of Bike Rumor, Craig says it’s not a big deal to just cut that tube down and run a regular post. Which is something I’ve done myself actually. I guess it’s time to start my own bike company. Seat tube (and name) aside, I do very much like this bike. It’s a modern take on the early ’00s aluminium race bike. It’s simple, clean, doesn’t have that stupid little bend in the down tube, and looks fast. I’d be very curious to know how it rides. The reputation of aluminium hardtails is that they punish. My brother, DrStu, had a Klein Pulse back in the day, and that bike punished. So I wonder if he’s found any give in those tubes. Given that bikes purpose, I kinda doubt he was trying for any give. One more thing about Craig Gaulzetti; he’s not the man with torch in hand. He’s the idea man. He says he can weld, but not as good as the guys he has on staff. Which makes me wonder how he gets to go to the handbuilt shows each year. NAHBS is the ultimate showcase for builders to demonstrate their creativity and skill. No question Gaulzetti is creative, but he’s really more of a Gary Fisher than a Richard Sachs.